Famous Audio are extremely proud to present their latest release ‘Heavy Electro House‘ – packed with dirty electro flavours that will make you miss anything for your next electro banger. 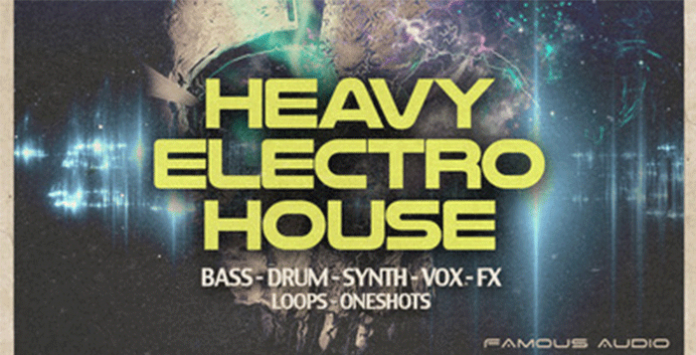 This pack provides you with the current electro sound that’s rocking the dance-floors today. Inside you will find everything from dirty, heavy, distorted, wobbles to filthy robo-basslines, ultra clean and sharp leads to crying lead lines, sleazy synths to stadium-sized pads, crunchy snares to heavy percussions, amazing vocals to crazy effects and many more.. You will have all the material you need to create exciting, mind-bending tracks! Whether you are making Electro House, Complextro, Dubstep, EDM or other forms of electronic music, this pack is a great starter point for new inspiration. If you’re looking to have sounds in that line then this pack is for you!! If you want to make todays electro sounds you should definitely spend some time with this pack.